Element specializes in rolling mills designed to reduce lithium metal to very thin gauges for the primary lithium battery market. These rolling mills are designed with very tight tolerances and come in variety of configurations to meet your quality requirements and budget. Element has experience building and controlling lithium rolling mills to achieve accurate thickness and elongation characteristics, while maintaining good material shape. 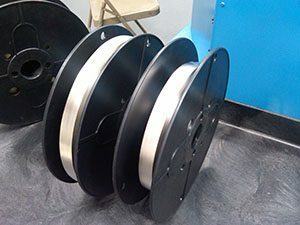 Element also specializes in payoff and winding equipment for processing lithium in coil form. 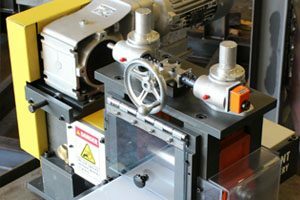 These winding systems utilize highly sensitive tension and strip detection devices to maintain accurate processing and tracking during rolling or extrusion. We also offer a variety of non-contact thickness gauging systems to accurately determine the thickness of material being processed. 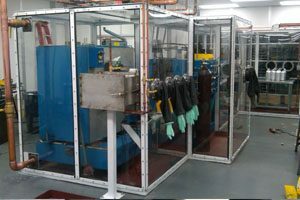 Element can also provide custom designed atmospheric enclosures for lithium handling and production. These enclosures are fully customizable with a wide range of atmospheric feedback and closed-loop control options. In addition to supplying machinery for processing lithium materials, product development and support services are available through our close partnership with Lithium Innovations located in South Carolina. Lithium Innovations has a long and proven presence in the lithium processing industry and is the source of a broad range of consultation services to help make your process more efficient and profitable. Aside from consulting services, Lithium Innovations offers a full range of lithium products, including: foils, ingots, anodes, rods, alloys, and specialized lithium products. Feel free to visit Lithium Innovations’ website by clicking on the logo to learn more about the services and products they can provide.